Your sewer line is responsible for keeping the entire plumbing system of your home running! So if your sewer line starts backing up, leaking, or it breaks, contact us immediately. Plumbing Connection offers a full range of sewer services, including main sewer line repair, sewer line replacement, sewer line inspections, and sewer line cleaning. Plumbing Connection solves sewer problems others cannot. Other plumbing companies, local cities, towns, and municipalities, large property owners and businesses call Plumbing Connection to solve more complicated water problems and sewage issues although at least half of our sewer repair or replacement projects are residential. 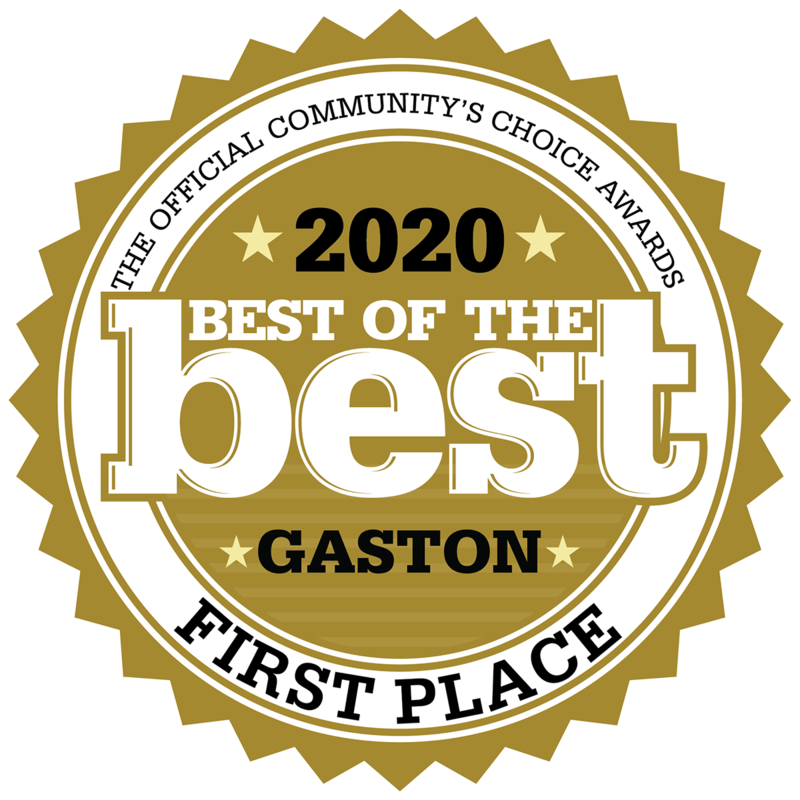 Whether a sewer project is simple or complex, Plumbing Connection is the go-to sewer contractor in the greater Charlotte, Gaston County, and Kings Mountain, NC areas. Our diagnostic expertise ensures that your sewer repair project will be executed with the skill and attention it requires. 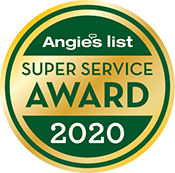 Our commitment to excellence has led to the highest quality customer service ratings from Angie’s List, Google, Home Advisors, and the Gaston Gazette Best of the Best for multiple years in a row. Damaged Pipes: Pipes that are broken, cracked, punctured or collapsed by shifting soil, frozen ground, settling, etc. Sewer Blockages: Grease buildup or foreign objects that don’t allow proper water flow and/or cleaning of the sewer line. A clog in the sewer line can lead to floods in your home or waste backing up into some of the drains or toilet. The clogs are usually caused by objects that don’t belong to the sewers, buildup in the sewer pipes, or the existence of a sagged area (belly) which collects the waste and blocks the water from going further the sewer line. Symptoms are the slow drainage and the gurgling sounds coming from the toilet bowl. It is important in this case to consult a Plumbing Connection expert to determine if the problem is in the main sewer line or in some of the secondary lines connecting any of the drains in the house with the sewer pipe. Corrosion: Outdated or substandard pipes that have deteriorated and/or broken, causing blockages in the line and restricting water flow. Bellied Pipes: A sewer line belly is created when a section of the pipe sinks because of ground or soil conditions; this sagging creates a trough where debris and waste collect. This is a very common problem that if left untreated, will eventually lead to standing water and sediment collecting in the middle of the line, which in turn can lead to erosion, blockages, and a major backup for the homeowner. Poor planning and bad installations are often the root cause of sewer line bellies; however, natural occurrences like major tree roots, sun or heat, rain, and even cold weather fluctuations can lead to the shifts in the soil that eventually cause bellies. The first step is to install plumbing with proper bedding. If the correct material (larger grade gravel and sand) is not used under the pipe, then it may eventually settle lower into the ground in some sections and a belly will form. Proper bedding compaction, good materials and correct slope are the most important factors needed to prevent the problem. A sewer line must also have the correct slope in order to use gravity to its advantage when moving waste away from the home or building. A Plumbing Connection professional will use the best tools of the trade (such as video cameras and locator wands) to ensure proper slope in a plumbing installation thereby preventing excess build-up. While we at Plumbing Connection are experts in the trenchless pipe repair method, we do not always recommend that a trenchless replacement as the solution for a belly repair. Often, our team will use an open trench to approach the problem area in order to build and fill the ground underneath the sagging line. Once filled, we would strengthen and reinforce joints, fill in the remaining space, cover the area with the proper materials and compact to code. Leaking Joints: If seals between pipes have decayed or broken, water will escape into the ground surrounding the pipes. Tree Roots: When tree or shrub roots have invaded the sewer line, clogs will occur and normal sewer line cleaning cannot take place. A sewer leak on your drain line, or main sewer line, can be hard to detect and can also damage your property. Standing water from leaking sewer lines are also a health hazard and frequently go unnoticed until significant damage has been done to your property. It is often the case that plumbers misdiagnose the problem and replace the pipes and later the homeowner discovers that they were not the source of the leak. Leaking sewer lines inside your home can damage floors, carpentry, and other valuable objects such as cabinets. Left unattended, leaking sewer water can lead to mold and much more serious structural damage. It is worth noting that sewer water is not always dirty or discolored and often gets mistaken for a water supply line leak. Plumbing Connection’s expert plumbers are fully-trained in the use of state-of-the-art equipment and technologies to solve all your plumbing problems. We can identify the source of the leaking sewer line, recommend a plan of action, and inspect for any other household leaks or water damage caused by the sewer leak. The easiest way to stop a sewer line from having problems is to keep up with annual maintenance. Maintenance includes video inspection, drain cleaning, sewer additives, and sewer line checks to ensure there are no cracks or leaks. Early warning signs are sometimes difficult to notice and so annual cleaning and checkups by a professional are vital for any home. Please note that Septic Bacteria Additives are NOT DRAIN OPENERS. They are designed to work with a clear drain (post clog) for future and ongoing maintenance. Plumbing Connection is an official distributor of “BIO-ONE” – a non-poisonous, environment friendly blend of bacteria and enzymes that attacks the organic wastes like grease, food particles, paper, cotton, and sewage, but is completely harmless to the pipes, pets, children, and adults. BioOne is the best solution for sewer and drain maintenance. This includes drain lines, septic tanks, drain fields, grease traps and more. BioOne eco-friendly drain cleaner has the ability to degrade many stubborn inorganic & hazardous materials that may in your pipes and/or septic system. BioOne is bio-degradable, easy to use, and is EPA Safer Choice Program recognized. Maintains operation and restores normal flow of drain lines, septic systems and grease traps. WHAT IS THE DIFFERENCE BETWEEN A SEPTIC SYSTEM AND A SEWER SYSTEM? Mostly, cities, towns, and their immediate surrounding areas are on sewer systems that are maintained by the local public works department. If a neighborhood is outside the area serviced by the local sewer system, the homes will generally use a septic system to handle waste water. Large public sewer systems charge a monthly fee for their use and septic systems are the responsibility of the homeowner to maintain. Public sewer systems are convenient and consequently, a little more expensive than septic systems although some septic systems can be more costly to maintain such as Low-Pressure Dose Systems that uses a pump to move effluent to a drain field or conventional systems that don’t percolate well and have to be pumped frequently. The waste goes into a holding tank. Bacteria break down the solid waste and the liquid effluent is then released into the drainfield. Septic tanks need to be pumped out yearly, every 3 years at the maximum. Sewers lines carry waste to a treatment facility. The facility removes contaminants and then discharges water back into streams and lakes. The cost to use a public sewer system varies depending on location and water usage. Some areas separate the cost of water and sewage, while others combine the two. They look pretty much the same and usually reside next to each, but they have very different jobs. Any work done to either pump should only be handled by a trained expert; however, it’s important that you, the homeowner know the differences in the pumps in the event a problem develops. Plumbing Connection can handle problems involving either kind of pump. Sump pumps are common fixtures in basements or crawl spaces. The job of a sump pump is to expel excess water that can accumulate in your basement space from excessive rain, snow melt or other kind of flooding. The job of an ejector pump is very different. The ejector pump handles the wastewater from your basement, including sewage from any basement bathroom. 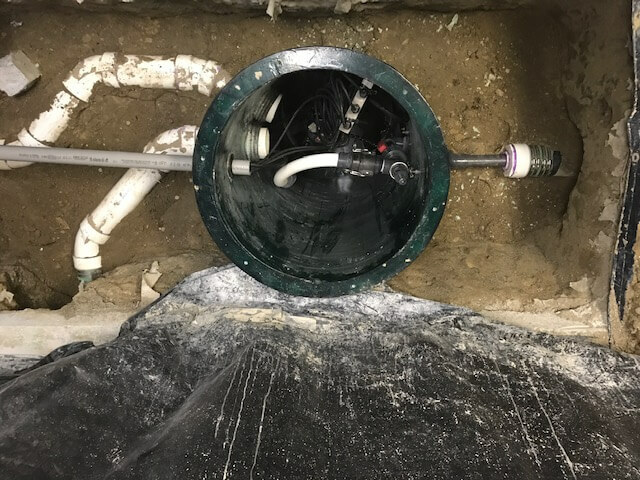 While a sump pump has a simple drain pipe to expel the water to the outside, an ejector pump is connected directly to your sewer or septic line and also has a vent pipe to manage the removal of sewer gases. Because ejector pumps can manage the removal of raw sewage, they can be more hazardous to deal with in the case of leakage. Usually the sewer pump is located in a sump basin or septic tank which collects a specific amount of waste waters. After the waters reach a certain level in the basin/tank, the sewer pump is activated and pumps it out and up to the main sewer line or septic drain field. The other elements of the sewage ejector pumps are the vent (connected to the existing vent stack) and the check valve which prevents the waters from draining back into the sump basin/tank after pumping it out. Why Do I Need Either Pump? Sump pumps are critical for removing flooding water from your basement space. Without it, the water will sit until it evaporates, which can lead to destruction of property, issues with your foundation, and the formation of mold and mildew. An ejector pump is necessary because without it, you won’t be able to successfully remove gray water or wastewater below grade. As you can see, these pumps can be very important to the functioning of your home, which is why only a licensed plumbing professional should handle all work, including installation and repair. If you need help with either a sump pump, ejector pump, or both for your home in the greater Charlotte, Gaston County, or Kings Mountain, NC areas, give our experts a call today! You can consistently expect the best from our team. We currently serve the Greater Charlotte, Gaston County, Kings Mountain areas. No matter which sewer services you need, trust in Plumbing Connection for exceptional service! For more information, reach out to our team by calling 704-825-9399. We’ll do our best to answer your questions, and if you need to plan a service, we’ll work around your schedule. We also offer 24-hour emergency services when you need them. We currently service the Greater Charlotte, Gaston County, and Kings Mountain, NC areas. WHEN DO YOU NEED A SEWER PUMP (ALSO KNOWN AS SEWAGE EJECTOR PUMP)? If you have any type of plumbing fixture in a part of the house which is below the main sewer or septic line grade. This includes laundry rooms, bathrooms, toilets, and sinks in the basement. Call Plumbing Connection today for all your sewer repair or maintenance needs for residential, commercial, and industrial. Serving the Greater Charlotte, Gaston County, and Kings Mountain, NC areas.